According to a recent report from 9to5Mac, Apple CEO Tim Cook, recently speaking at a "Town Hall" event for Apple employees, hinted that Apple Music will not be a solitary attempt to expand Apple software to the Android OS. In fact, Cook was quoted claiming that Apple Music served as testing ground for upcoming Android ports of other iOS apps. Based on this report, we figured that it would be a good idea to anticipate which other iOS apps may eventually launch on Android as well. At the very least, we tried to figure out which Apple apps would be nice to have on Android from an end-user perspective. Before we get this imagination game started, we'd like you to bear in mind that we don't have official confirmation that more Apple apps are heading to Android anytime soon. Apple's iMessage is one of the best instant messaging services currently available on the market, but the functionality of the app is currently limited by the app's iOS exclusivity. While iPhone and iPad users can use iMessage to communicate through IMs or video calls, a third-party app becomes a necessity in order to reach out to Android users. An Android port of iMessage would benefit iOS users first as it would largely eliminate the need for third-party IM apps. Furthermore, an Android compatible iMessage app would heavily benefit hybrid users - those who rock an iPhone and an Android tablet, or an Android phone and an iPad - by allowing them to sync their communications across their devices. However, this isn't to say that (at least some) Android users will not appreciate the reliability and security of iMessage. For as long as the Android ecosystem has existed, a large portion of users has yearned to be able to access Apple's vast music library. With Apple Music now available for Android smartphones and tablets, we would argue that an iTunes port for Google's OS isn't such a far-fetched idea. While Google Play currently offers a wide collection of songs available for purchase, iTunes remains the first choice for many established artists, while independent artists often release their music exclusively on Apple's music distribution platform. Moving down the nice-to-have-on-Android priority scale, we can't see why iCloud (or at least some pieces of it) couldn't be ported for Google's OS as well. In fact, we're sure that many Android users would appreciate being able to sync their photo library, emails, calendars, and notes across both iOS and Android devices. 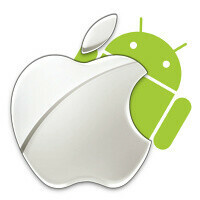 Unlike, iTunes and iMessage, however, iCloud wouldn't be as important for Android users. Google Drive is already well integrated into the OS, is very popular among users, not to mention that the storage-per-dollar ratios are much more affordable than what Apple is asking for iCloud storage. Apple Maps may have started on the wrong foot, but through a series of updates, the mapping service is now much more reliable than it was back in 2012 when it originally launched. An Apple Maps port to Android not only makes sense but was actually hinted to by an Apple job posting a few good months ago. Like with iCloud, however, a potential Android version of Apple Maps would have to face a very potent (not to mention natively integrated) Google Maps competitor. Ok, so maybe an Android port of Music Memos wouldn't be as important for the everyday user as the other iOS apps we've previously mentioned, but both professional and amateur musicians would greatly benefit from it. In essence, Music Memos is a great way to sketch song ideas using just your smartphone's microphone: it records music in an uncompressed format, will automatically recognize the pitch and visually represent the notes, and can also automagically add bass and drums on top of your song. The app is not as complex as some professional apps, but it's certainly a simple and useful way to jot down and share song ideas before heading to band practice or the studio. Given that no Android app can currently match Music Memos, an Android port would probably strike a sensitive cord among musicians. It's clearly not a must-have app, though, and this is why we've mentioning this one last. Stfu, iMessage would be awesome! How iMessage is better than WhatsApp, Viber or Messaging on Android? How iCloud is better than OneDrive or other??? For what someone will need iTunes??? Every Android or Windows phone device can be attached via USB as drive and manage everything without need of stupid iTunes. Apple Maps are immature, compared to Google maps or Here maps. WTF?!? For what purpose is this article? iMessage is awesome but it needs swipe typing I miss it so much. Is iMessage better than Telegram? I use Android as my main phone because I don't need these apps. Best joke of the year! Everyone hates Itune even apple user! I am more interested in knowing how much apple paid to phone arena for this article ? Apple Maps has indeed come a long way (since there was a huge room for improvement) but it really isn't better then Google Maps especially now with the offline map support. I've been using android since it launched on the Tmobile G1. When I discovered Google maps, and started putting it to use, it was less than good. It had its growing pains, but eventually became the outstanding app it is today. Apples mistake was declaring an infant mapping system to be the best, at its launch. It's grown leaps and bounds over what it began as. Apple had/has offline map support as well - it's a it more automatic than the way it is with Google: for example around my city Apple has cached the entire area and if my internet is dead - it will still give me directions. Also if you plot a trip out of town or wherever - Apple with cache the directions and you'll still get navigations while on trip invade your internet drops. yes I prefer Here Type of offline access, but for the 97% of my map needs Apple maps are no where behind google maps. You told it right - HERE maps. You have them on Android and iOS. At the moment they are much better than Apple maps. So why I should need Apple maps on Android??? They forgot it took Google 10+ years to even make Google Maps above good. The sheer fact that Apple Maps has progressed so fast over such a short time says a lot. It just shows how quickly tech has evolved. wildfiregt is right, on past thanksgiving I moved to iPhone 6S Plus after exclusively using Android phones since Eclair (2.1). I did not used google maps for initial couple of weeks...but then apple maps started showing destinations almost 1KM away...and thats in mississauga, ON...went right back to using google maps. Google Maps is just as bad, man. they are on par if we are talking outside US. Aside from iTunes and maybe iMessage, the rest will be a joke if they will be ported..